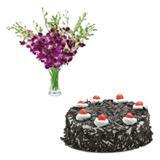 Amaze your loved ones in all cities in India with this exciting combo gift. 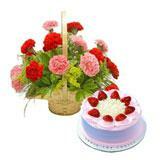 Consisting of a bunch of 18 Pink Roses and 1/2 kg eggless Strawberry Cake, this hamper will surely be a special one. 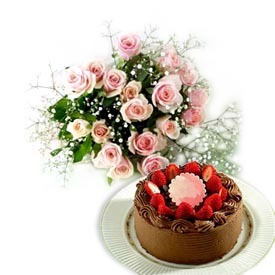 The delectably fresh cakes and the aromatically decorated flowers will surely be appreciated by your recipient in all cities in India. 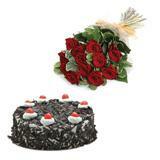 A special midnight gift for the very special person. 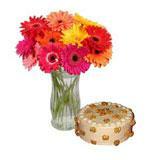 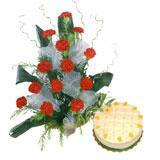 Along with this send other alluring Gifts across India through GiftsAcrossIndia.com and make your dear ones feel special.